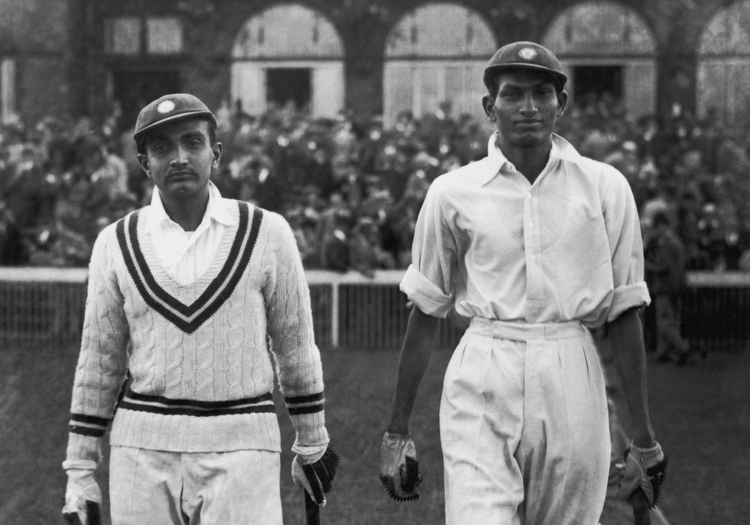 India’s first Test was a one-off at Lord’s in 1932, and they became the sixth Test nation. The tourists made a splendid start, Mohammad Nissar dismissing openers Percy Holmes and Herbert Sutcliffe, before Frank Woolley was then run out to leave England on 19 for 3. Captain Douglas Jardine took his mind off plotting the destruction of Australia that winter, however, to top-score with 79, while wicketkeeper Les Ames chipped in with 65, helping the hosts to 259. 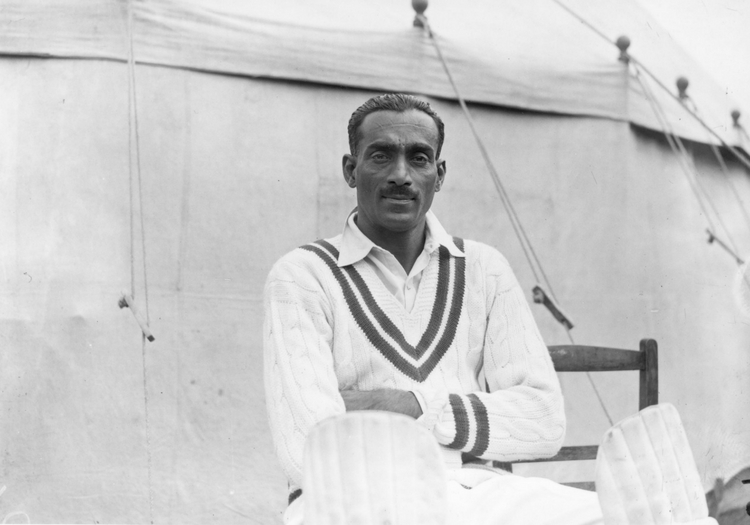 Bill Bowes took four wickets as India – with three players, including their stand-in captain Colonel Cottari Kanakaiya Nayudu battling injury – managed only 189 in reply. Jardine was the star again in the second innings, making an unbeaten 85 to set the tourists 346 to win, and they fell 158 short, but at least fast bowler and tail-ender Amar Singh registered India’s first half-century against England. Four years later the Indians returned for a three-Test series. In the opening match at Lord’s they looked as if they might pull off a surprise when they bowled England out for 134, after artificial means had been used to dry a Test pitch for the first time. Amar Singh this time showed his skills with the ball, taking 6 for 35 (still India’s Test best figures in England). That was in reply to England’s 147, captain Gubby Allen recording the only slightly inferior figures of 5 for 35. Another five-wicket haul for Allen (match figures of 10 for 78 were his best in Tests) in the second innings ensured India failed to press home their advantage. They were dismissed for 93, and England won by nine wickets with 50 minutes to spare. Walter Hammond’s 167, out of a total of 571 for 8 in only 375 minutes, seemed to put England on course for a win at Old Trafford, but India’s openers Vijay Merchant, with 114, and Syed Mushtaq Ali, who made 112, ensured a draw with a stand of 203. England were not to be denied, again by nine wickets, in the third Test at The Oval, however. Hammond’s 217, the first Test double-century against India, in conjunction with Stan Worthington’s 128 not out (his only Test hundred), laid the foundations for a total of 471, and India managed only 222 in reply. Following on they fared better, making 312. Nayudu scored a brave 81, despite being hit on the elbow by Allen, whose 7 for 80 was his best figures in a Test innings, but the hosts completed a comfortable win. 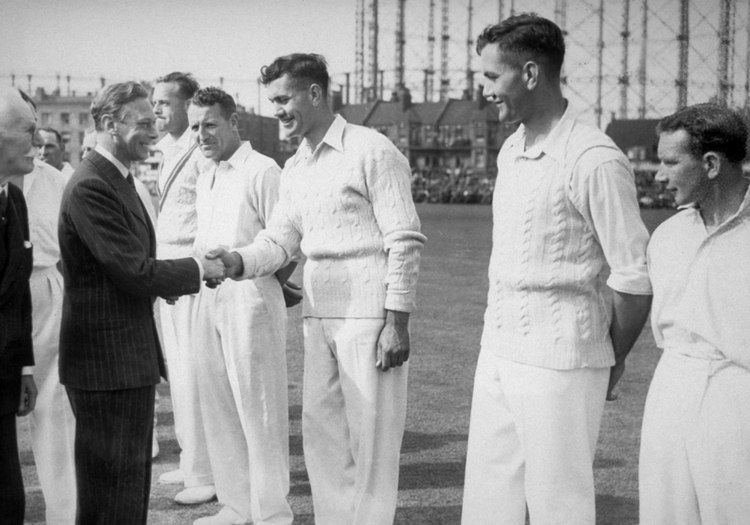 A decade later India returned to provide England’s first official opposition after World War Two. It was the last united India side to come here, before Partition. England re-applied their grip with a 10-wicket victory in the opening match, attended by record crowds for the first two days after the absence of Test cricket for seven years, and the two subsequent draws ensured a home series win. Debutant Alec Bedser’s 7 for 49 saw India slump to 200 at Lord’s, and Joe Hardstaff’s unbeaten 205, his last and highest three-figure score for England, pressed home their advantage. Needing 229 to make England bat again, India made 275, Bedser making up for all those lost years by taking another four wickets, before his side finished the job off. At Old Trafford Bedser took 11 wickets again, this time four and seven, but India survived, despite losing all 10 first-innings wickets for 46 after being 124 for 0. They ended on nine wickets down on 152, chasing 278. Rain decimated the third Test at The Oval after Merchant had made 128 in the only completed innings of the match. He was run out by Denis Compton, who, using the football skills he displayed for Arsenal, kicked the ball on to the stumps. There was just time for Hammond to become the first player to pass 7,000 Tests runs.